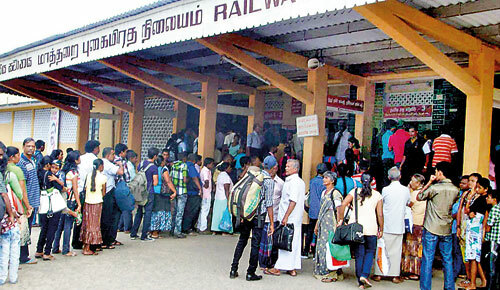 The Matara railway station and the central bus halt are packed with tired and disgruntled passengers -both local and foreign- waiting to return to Colombo after the Sinhala and Hindu New Year holiday.�Commuters standing in queues for many an hour complained that despite announcing special rail services, these services were suddenly cancelled yesterday. Tired and exhausted children and infants were seen crying uncontrollably in the dust and heat as they waited in long queues with their parents. 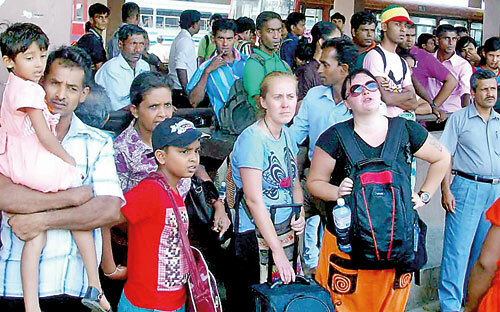 Foreigners who opted for train and bus travel too were thoroughly disappointed with the service. 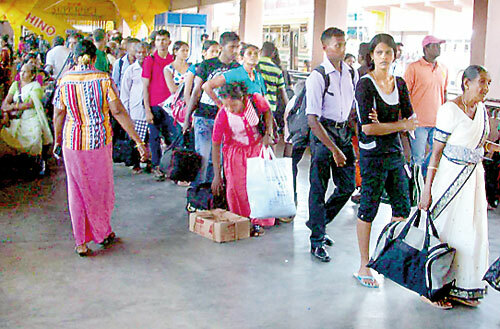 “It’s very hot and both the buses and trains are crowded. Though we enjoyed our stay on the southern coast, we are definitely not going to enjoy the ride back,” a female tourist said. 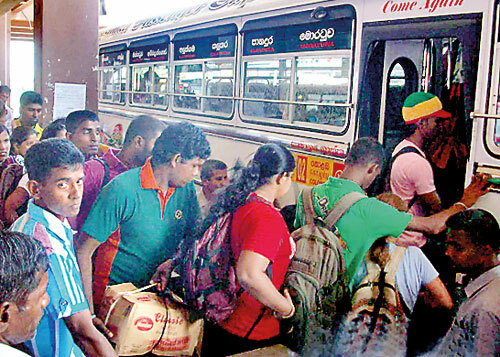 According to our provincial correspondents, over-crowded bus halts and railway stations were the order of the day at Kandy, Anuradhapura and other outstation areas. 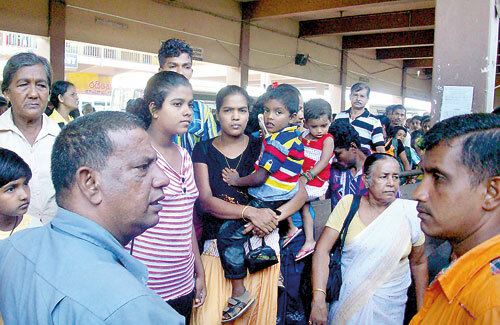 "We were advised to travel by train to avoid congestion�"